An accountant is like a company’s stronghold, and if you are an accountant or is interested to pursue a career as one, then you can be sure that you have a bright future ahead of you. The number of businesses worldwide is endless, and every company needs an accountant. Not only is an accountant needed to keep the business’ finances steady; accountants also help make the company’s operations smoother and more efficient. There are many specializations for accountants, but the general tasks of an accountant are as follows. How Important Is An Accountant to A Company? As an accountant, you can expect to take on a number of roles in the company you work for. You will be closely involved in monitoring the movement of the business on a daily basis, as well as in handling the works behind the scenes. By definition, an accountant is one who examines the accounting system of a company, runs it, and maintains it. Also, the lifeblood of your job as an accountant lies in the papers: the financial statements of a company. It is your job to prepare these statements, and in the process, to keep attention to every financial detail of the business. This is highly important because the financial statements are what determine the status of the business, which, in turn, determines the direction of the business. Depending on your client, you can also be assigned to handle the payroll as an accountant. It is also your responsibility to check on company expenditures and keep it within a sustainable limit. And when the company you work for are into production of goods, then you will be closely involved in computing product costs and coming up with a marketable but profitable price for the products of the company. And when there are new plans for business expansions and any other future undertakings of the company, you will be asked to prepare cost and profit estimates, which are used to gauge whether certain plans are profitable or not. And since you are the one who knows about the financial status of the company, even high-level officers will want your advice on how to proceed with the business at times. This just goes to show that an accountant basically holds a major factor that affects the future of a business. As a good accountant, you should not only be able to perform all your tasks well; you should also be able to handle the pressure of having such a major role in a company. If you want to pursue a career in accounting, there are a lot of qualifications that you need to achieve. Other than those, you also need various kinds of certifications to get a good-paying job as an accountant. You can work even without the high certifications, but they certainly help in finding clients or getting a job that pays really well. 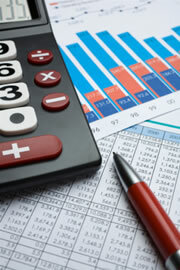 To be an accountant, you also need certain skills, such as organization, logical thinking, and problem-solving skills. You also need a solid training, which you can also get by taking online courses on accounting and bookkeeping. Despite the effort it takes, though, being an accountant is certainly worth it.